TIZEN is the latest entrant into the world of mobile operating systems. This Linux powered OS was shown of by Samsung at MWC 2013 in February 2013 but critics had panned it at that time. However its backers, Samsung and Intel are not giving it up so soon. 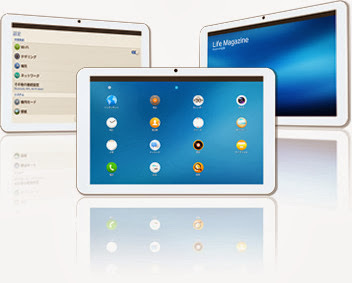 But in the meantime a Japanese company by the name of Systena has launched a Build Kit tablet running on Tizen OS. The demonstration for visitors to exhibitions, etc. The Systena Build Kit tablet will run on Tizen 2.1 Magnolia which means that this specific build is being released especially for App development and product demonstration. The Systena Build Kit Tizen Tablet specifications also pack a punch. The Systena Tablet has a nice 10.1 inch display which sports a resolution of 1920 x 1200 pixels. It runs on an ARM Cortex-A9 quad-core processor clocked at 1.4GHz coupled with 2GB of RAM. The Tablet has a internal memory of 32GB which can be further expanded with a microSD card. For regular usage it will come with standard connectivity options like Wi-Fi 802.11 b/g/n and Bluetooth 3.0. It will have a 2MP camera both on the back as well as the front. Systena has not divulged any price for the TIZEN Build Kit Tablet but if you are a developer you need to get your hands on the latest OS out there as Samsung may indeed power its Galaxy S V with Tizen in the coming years.